The senator representing Plateau South in the National Assembly, Gen. Jeremiah Useni (rtd) has been declared winner of the Plateau State People’s Democratic Party (PDP) governorship primaries election. A former military governor, Jeremiah Useni, has emerged the governorship candidate of the People’s Democratic Party (PDP) in Plateau State. Mr Useni, 75, polled 1018 votes to defeat 12 other candidates at the party’s primaries. His closest rival, Johnbull Shekarau, got 340 votes. A total of 2,097 delegates from 17 local government areas voted at the primaries. 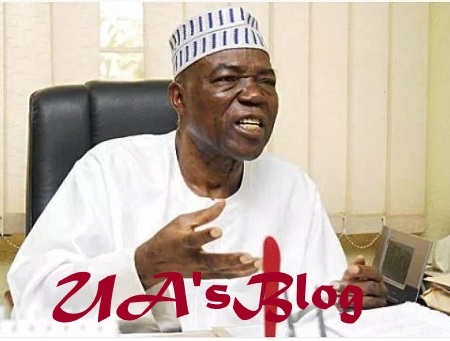 Mr Useni, a serving senator representing Plateau South senatorial zone in the Senate, was once the minister of the Federal Capital Territory, Abuja, and a former minister of transport. He was the military governor of the old Bendel State, now made up of Edo and Delta States, between 1984 and 1985. He was also a very close ally of the former military head of state, Sani Abacha. He was born February 16, 1943, in Langtang and joined the army after his early education. He rose to the post of Lieutenant General before retiring in 1999. Prior to the commencement of voting, Victor Lar, on behalf of the aspirants promised to support whoever emerges as the winner in Plateau State. Mr Useni will face incumbent governor, Simon Lalong, of the All Progressives Congress (APC), who also bagged the second term ticket of his party, unopposed on Sunday.